This year’s launch of Opportunity Zones could unleash a flood of investment into low-income communities across the country. But who will this opportunity benefit? While the nation’s economy is booming, that economic growth has been geographically concentrated. Since 2008, more than 2.5 million new jobs were created in the most prosperous ZIP codes, while the least prosperous areas lost nearly 1.5 million jobs, according to research from the Economic Innovation Group. New jobs have flowed into cities, with rural areas across the country still yet to fully recover from the Great Recession. And within cities prosperity is not broadly shared; income inequality is higher in large cities than the country as a whole and wealth inequality has a large and persistent racial bias. Opportunity Zone investments have the potential to address these economic divides by supporting small business growth and local ownership in communities that have thus far been left out of the recovery. But effort and expertise are needed to ensure that these investments create opportunities that reach people in the targeted communities, and that they extend to women, people of color, those who have been involved with the justice system, and others who have traditionally faced barriers to economic opportunity. This event will explore these issues and consider ideas to focus Opportunity Zone investments in ways that will create jobs and wealth for communities and support small business development and ownership in places that have for too long been left on the sidelines of the economy. Refreshments will be served at 3 pm, the panel will begin at 3:30. A livestream will be available for anyone who is unable to attend in person. 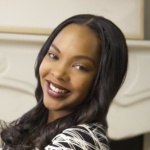 A Newark native, Tai Cooper earned a Bachelor of Arts in urban planning from The Edward J. Bloustein School of Planning and Public Policy at Rutgers University and a master’s degree in urban planning from the Robert F. Wagner Graduate School of Public Service at New York University. Ms. Cooper has a wealth of political experience and has worked for more than a decade in senior-level positions in federal, state and municipal government. She began her political career as a Senior Aide to U.S. Senator Frank Lautenberg. During the 2014 Newark mayoral election, Ms. Cooper served as spokesperson and Senior Policy Advisor for mayoral candidate Ras J. Baraka and was later appointed to serve as his Chief Policy Advisor. 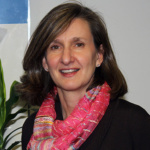 Ms. Cooper previously served as the Deputy Chief Policy Advisor in the Office of the Governor and currently serves as the Managing Director of Policy, Planning, Research and Advocacy at the New Jersey Economic Development Authority. Tomás Durán is the President of Concerned Capital, Inc. (CC), a social benefit corporation based in Los Angeles, CA. His team developed the Transfer of Ownership (TOO) Program, which recycles manufacturing companies by transferring ownership from retiring owners to employees. He is also the Administrator for Special Projects at the USC Center for Economic Development. At USC he works with manufacturers in the defense supply chain as part of the Advanced Manufacturing Partnership for Southern California. Prior to creating CC, Tomás worked as a Program Manager for the Whittier Redevelopment Agency and Vice President of Real Estate for Genesis LA Economic Growth Corp. Plaza La Alameda, a South LA retail center that created hundreds of jobs, was a project he provided gap financing for. In addition to CC and USC, he is a part-time instructor for the USC Sol Price School of Public Policy and serves on the Board of Directors for the Business Alliance for Local Living Economies and the Community Advisory Board for Dudley Ventures Community Investment. Tomás has a Master’s in Planning from the University of Southern California. Tomás married his college sweetheart and they live in Whittier, CA with their two sons and mischievous dog. Tomás Durán is a member of the Aspen Institute Job Quality Fellowship, Class of 2018-19. 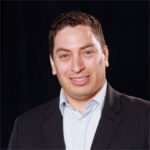 Kenan Fikri is the Director for Research at the Economic Innovation Group (EIG), where he manages a research program that aims to better understand how the U.S. economy is evolving and what it means for people and places. EIG works to advance creative policy proposals that will bring new jobs, investment, and economic growth to U.S. communities. The bipartisan research and advocacy group helped craft the idea of Opportunity Zones and is working alongside a broad coalition of public, private, and non-profit stakeholders to drive the success of the policy nationwide and in communities. 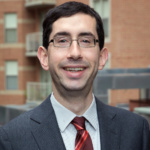 Prior to joining EIG, Kenan worked with a team of leading economic development thinkers and practitioners at the Brookings Institution’s Metropolitan Policy Program. Kenan has also served as a consultant on competitive cities with The World Bank. He obtained his Master’s Degree in Local Economic Development from the London School of Economics, his Bachelor’s in International Relations and Economics at American University. 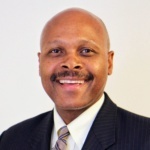 With deep experience in both the public and private sectors, Maurice Jones took the helm as LISC’s fourth president & CEO in September 2016. Immediately prior to joining LISC, he served as the secretary of commerce for the Commonwealth of Virginia, where he managed 13 state agencies focused on the economic needs in his native state. He previously served as deputy secretary for the U.S. Department of Housing and Urban Development (HUD) overseeing operations for the agency and its 8,900 staff members. Prior to that he was commissioner of Virginia’s Department of Social Services and deputy chief of staff to former Virginia Gov. Mark Warner. Trained as an attorney, Maurice worked during the Clinton Administration on legal, policy and program issues at the Treasury Department, where he also helped manage a then-new initiative called the Community Development Financial Institutions (CDFI) fund—a federal program that has grown to be a critical supporter of nonprofits that leverage its capital to bolster their communities. In the private sector, Maurice was the general manager of The Virginian-Pilot in Norfolk and went on to become president and publisher of its parent company. He also worked for a Richmond law firm and a private philanthropy investing in community-based efforts to benefit children in Washington, D.C.
Raised by his grandparents in a rural southern Virginia community where his family had a tobacco and corn farm, Jones was awarded a full merit scholarship to Hampden-Sydney College, a small liberal arts school. In 1986, he graduated Phi Beta Kappa and was selected as a Rhodes scholar. At Oxford University, he earned a master’s degree in international relations. In 1992, he graduated from the University of Virginia Law School. Tweet Opportunity Zones can create jobs and wealth in underserved communities, but it will take effort and expertise to reach the people most in need. Tweet While our economy is booming, growth has been uneven across the country. Opportunity Zones can address these divides by supporting communities left out of the recovery. Tweet Opportunity Zones can unleash a flood of investment into low-income communities across the country. But who will they benefit? Local residents or wealthy developers? Join the conversation on Twitter by following @AspenWorkforce and @AspenMicro and tweeting with the hashtag #talkgoodjobs.